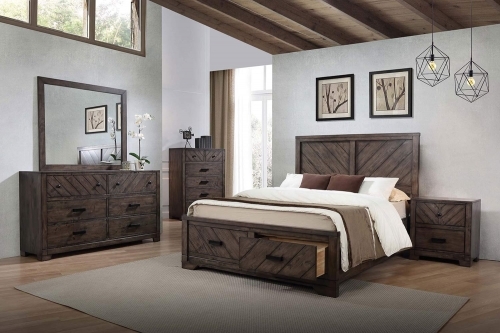 This San Mateo Drawer Chest-Pulaski has features select hardwood framing under amber pecan veneers for a luxurious touch. 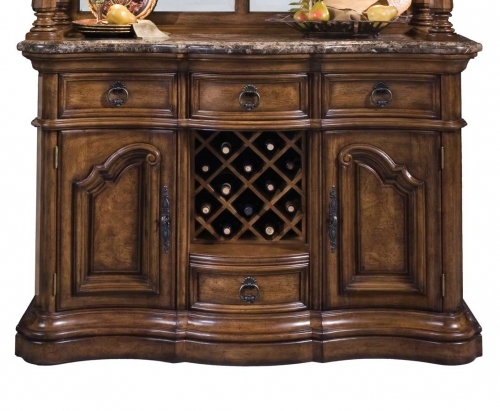 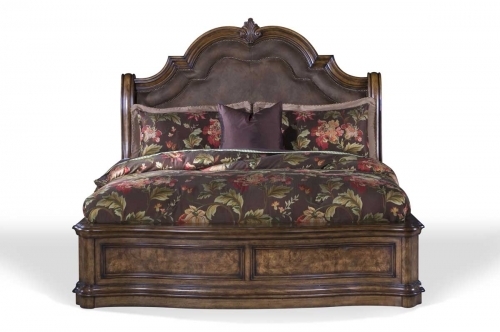 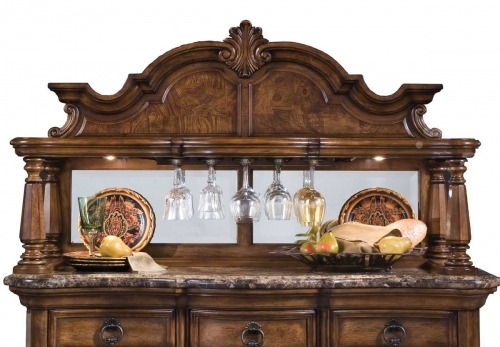 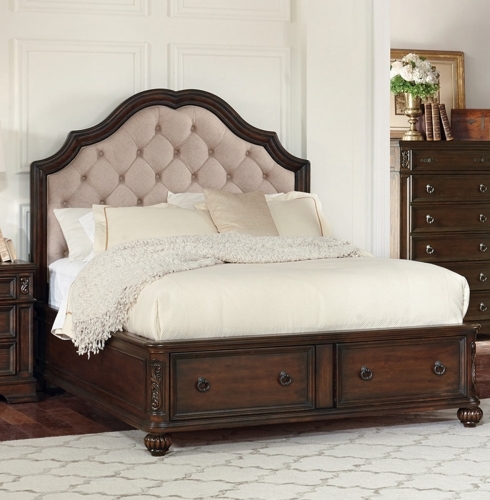 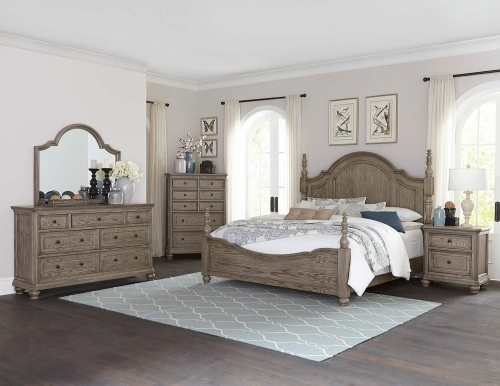 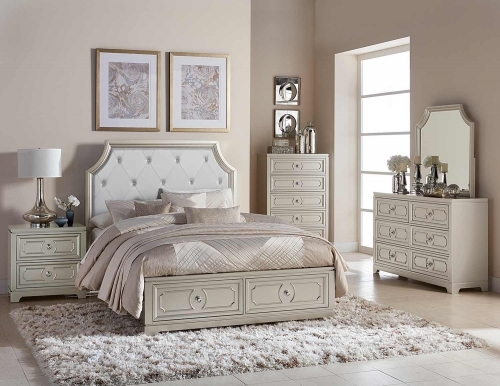 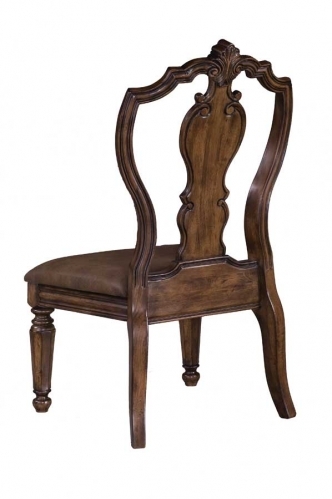 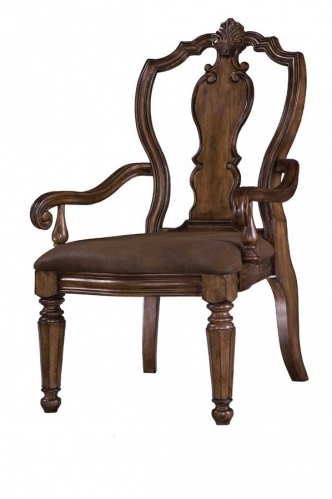 The rounded gables and corner pieces are reminiscent of classic European design while the storage pieces feature laminated marble tops for added style and durability. 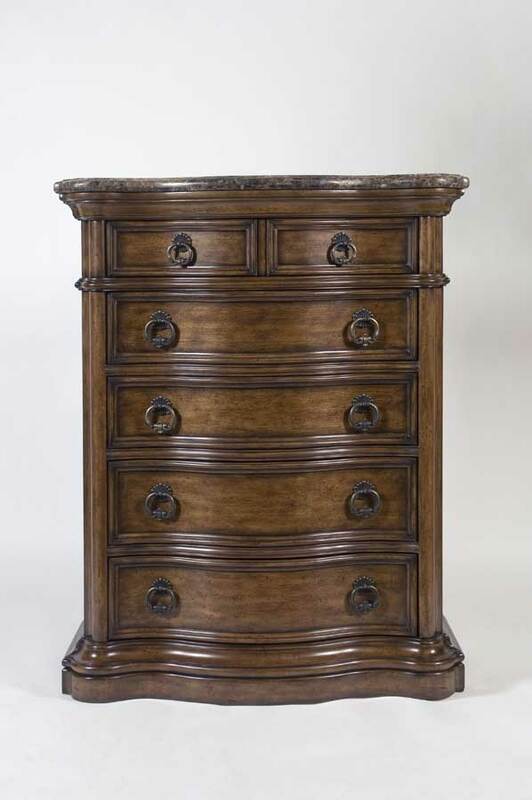 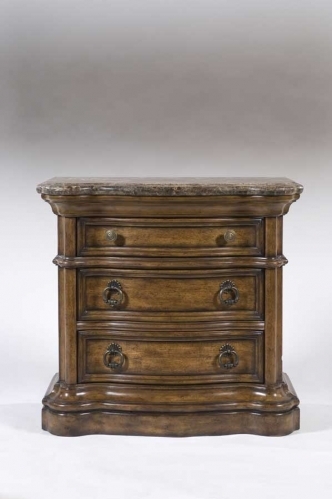 This San Mateo Drawer Chest-Pulaski has all drawers feature English dovetail construction to ensure years of service. 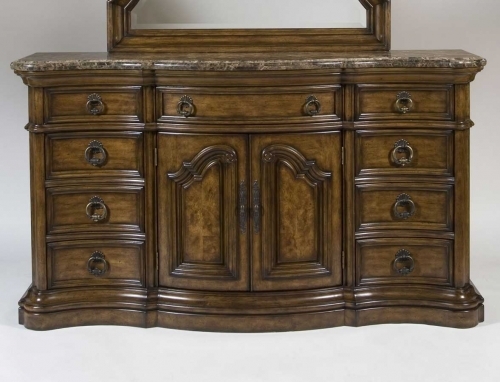 Shaped Front and Top and Sides.